Little of what we know about prison comes from the mouths of prisoners, and very few academic accounts of prison life manage to convey some of its most profound and important features: its daily pressures and frustrations, the culture of the wings and landings, and the relationships which shape the everyday experience of being imprisoned. 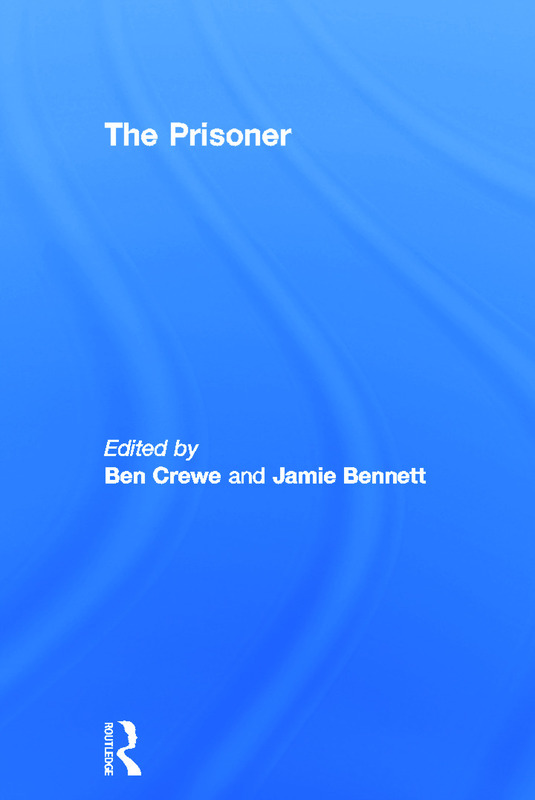 The Prisoner aims to redress this by foregrounding prisoners’ own accounts of prison life in what is an original and penetrating edited collection. Each of its chapters explores a particular prisoner sub-group or an important aspect of prisoners’ lives, and each is divided into two sections: extended extracts from interviews with prisoners, followed by academic commentary and analysis written by a leading scholar or practitioner. This structure allows prisoners’ voices to speak for themselves, while situating what they say in a wider discussion of research, policy and practice. The result is a rich and evocative portrayal of the lived reality of imprisonment and a poignant insight into prisoners’ lives. The book aims to bring to life key penological issues and to provide an accessible text for anyone interested in prisons, including students, practitioners and a general audience. It seeks to represent and humanize a group which is often silent in discussions of imprisonment, and to shine a light on a world which is generally hidden from view. Ben Crewe is Deputy Director of the Prisons Research Centre at the Institute of Criminology, University of Cambridge. He has published on various aspects of prison life, including staff--prisoner relationships, the drugs economy within prison, the 'inmate code' and public--private sector comparisons. His most recent book, The Prisoner Society: Power, Adaptation and Social Life in an English Prison, was published in 2009. Jamie Bennett has worked for 15 years as a prison manager and has held senior positions including Governor of HMP Morton Hall. He is also Editor of Prison Service Journal and has written widely on criminal justice matters including prison management, the media representation of prisons, and the relationship between crime and inequality. He has published two previous books: Understanding Prison Staff (with Ben Crewe and Azrini Wahidin 2008) and Dictionary of Prisons and Punishment (with Yvonne Jewkes 2008).